One of the chief responsibilities of school board members is understanding the financial condition of their school district. Performing a financial analysis is an efficient way for leaders to keep track of the district’s finances. As we all know, a healthy financial condition leads to a successful academic program. Board members need to learn how to independently perform financial analysis. School finance has a reputation for being technical and unapproachable. However, it can be explained successfully to board members who do not have a finance background. They can learn to perform their own financial analysis, in a short period of time. Teaching a difficult subject, like mathematics, requires a teacher to think outside the box. It comes down to how the teaching is approached. I offer a unique perspective, because I served as a board member and as a business administrator. Currently, there are many training opportunities in board governance, collective bargaining, personnel management, and policy making. However, financial analysis training is rare. Deep learning, as opposed to wide learning, requires learning a few key concepts very well. However, the selection of concepts need to be done carefully. It is not unlike designing a workout program. If a personal trainer designed a training program for an average person, the trainer could select a few key exercises and, over time, the client would be fit. The client may not make it to the Olympics, but the person would accomplish the fitness goals. The purpose of basic training in financial analysis is not to make board members finance experts. The training does gives board members the power to independely analyze the financial condition of their district. Then they can discuss areas of concern with colleagues, parents, and the administration. Board members are busy in their professional and personal lives. They do not need to be handed an 800-page document, such as a budget, with no user manual. What can be done to solve the training gap? I discussed earlier the concept of deep learning. Another approach is to correlate relationships with issues board members already understand. The middle school math teacher will often use a baseball player’s batting average to help students understand algebra. Board members have personal financial issues just like a school district has. For example, board members pay mortgages every month. A mortgage is nothing more than long-term debt. Long-term debt is a component of the school district’s financial statement. A home is a capital asset, which is another key component listed on the statement. The financial ratios I recommend can also be related to personal finance. One is called a liquidity ratio. 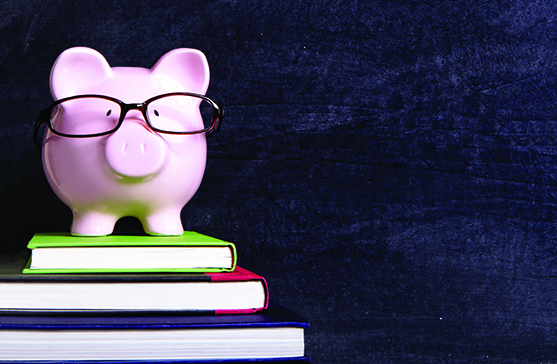 This ratio analyzes a school district’s cash flow on an annual basis. How fast is a district turning assets over into cash? Board members have cash flow issues in their personal lives. Their cash flow comes from their paychecks or investments. Once these connections are made, learning happens automatically. School districts have the same personal financial problemss, such as increasing debt and declining revenues, as average citizens. A major part of understanding the district’s financial condition is analyzing the school district’s statement of net assets. This one financial statement captures all of the district’s financial transactions for the entire school year. The statement is located at the back of your district’s Comprehensive Annual Financial Report (CAFR). This statement is only one page, but it can tell board members if their district’s financial health is improving or declining and why. The statement is based on actual data as opposed to budgeting numbers. The data also is confirmed by professional auditors. Budget development is only estimating or guessing what may happen. The most potent way to analyze financial conditions is to look at data over time (from three to five years). The final step is to extract the data from the financial statement and plug it into key financial ratios. This step is key to making the data speak. Due to advances in technology and spreadsheet capabilities, board members can just enter the numbers and let the spreadsheet perform the calculations. The financial ratios look at four key school district areas. Liquidity ratios analyze the district’s ability to pay its short-term debts due in a year or less. These ratios include actual cash and account receivables. Receivables are nothing more than a promise to be paid. How much cash does a district have available to cover bills as they become due? Is cash flow improving or declining? This is no different than in a board member’s family budget. If a board member had a second job, then their paycheck is a “Receivable.” What if the check is late or does not arrive? Checks or receivables need to be turned to cash to have any real value. How quickly can your district turn a receivable into cash? Is this process improving or declining? Leverage ratios compare district assets which are financed through long-term debt. A school district’s financial situation is like a board member’s financial situation. For example, board members have assets like a home, a car, and an IRA. They also have personal liabilities such as a mortgage, college loans, and credit card debt. How much of a school district’s assets are funded through long-term debt? Is this ratio getting better or worse? Percentage change ratios compare percentage changes over time. This allows the comparison of a small district to a large district. How does this help us? It is always a good idea to compare your district with others in the same town. However, it would be impossible to compare a school district with a $20 million budget to one with a $200 million budget if dollars are the basis for comparison. Let’s look at a personal example. Family A spends $11,000 on food for the entire year, and Family B spends $6,000. This does not tell us much until we probe more deeply. Research tells us that Family A has six kids and Family B has one kid. Now it becomes apparent that Family A is more prudent with spending. This is because, on a unit (per child) basis, they are more efficient. These ratios level the playing field and smooth out data. This ratio compares district debt to property values. It calculates your constituent’s ability to pay for educational services. Property values compared to school district debt help determine the town’s financial capacity to support education. If property values decrease at the same time that debt is going up, major problems will follow. This is one of my biggest gripes when it comes to school district finance. Many districts do not look at finances over a period of years, because they are caught up in the current budget cycle. Of course, annual budget development is important, but if you do not know where you have been, how can you know where you are going? Financial analysis should be performed over a three- to five-year time horizon, so you can see what programs are working and which ones are failing. Districts need to stop throwing good money at programs or projects that are ineffective. When you consider personal examples, board members can see that school district finance is not all that different from their personal lives. A board member can be successful in financial analysis by analyzing concise and critical data. The statement of net assets and the four key financial ratios discussed accomplish this goal exceptionally well. Board members need to understand the financial health or condition of their district. Is their financial condition or health improving or declining over time? Now you can answer this question on your own.